. 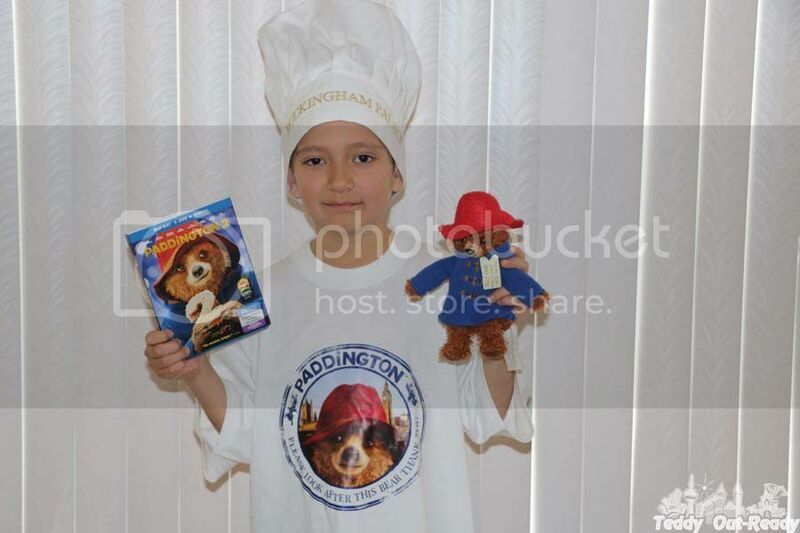 @TeddyOutReady: Paddington 2 Marmalade-Loving Bear is Back | Warner Bros.
Paddington 2 Marmalade-Loving Bear is Back | Warner Bros.
Warner Bros. Home Entertainment provided me with a free copy of the Blu-ray/DVD I reviewed in this Blog Post. The opinions I share are my own. We liked so much first Paddington movie that decided to visit London and check the places where Paddington found new home. It was delightful to walk on the streets of London and think that The Buckingham Palace guard has an extra cup of tea for lost in the city buddies. After we came back we got news that Paddington 2 is coming out very soon and our excitement was limitless. 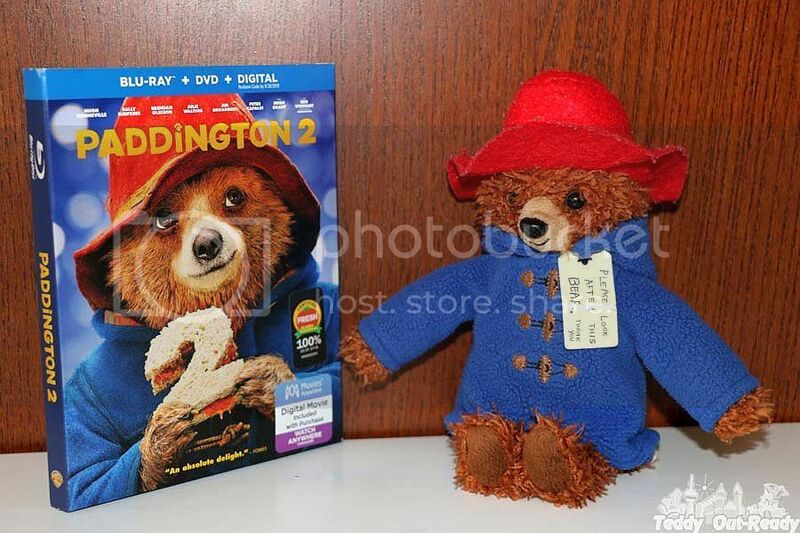 We could not wait for the movie to come out and now Paddington 2 is available on Blu-ray Combo Pack, DVD & Digital. Second movie is as good as first one! In Paddington 2, marmalade loving bear is happily settled with the Browns family in London. Kids grew up, Mr. Brown has mid-life crisis and was not appointed as a department head - the role he was so eager to take, Mrs. Brown works successfully as an illustrator. Paddington has become a valuable member of the local community, sharing his marmalade sandwiches and helping everyone from a homeless dog to local merchants. Aunt Lucy's birthday is fast approaching and it is not just a birthday, it is a hundred year anniversary. So Paddington decides to buy something special for that occasion. He comes across a unique pop-up book in Mr. Gruber's antique shop. This book is amazing and shows all beautiful places of London, Paddington is eager to show the city he lives. The book is quite expensive so Paddington decides to take some jobs to buy it. But a thief steals the book and the police catches Paddington instead of the real thief. Everyone's favorite bear is sentenced to 10 years in prison and the Brown family has to use all their resources to find the real criminal. While in prison, Paddington makes new friends. 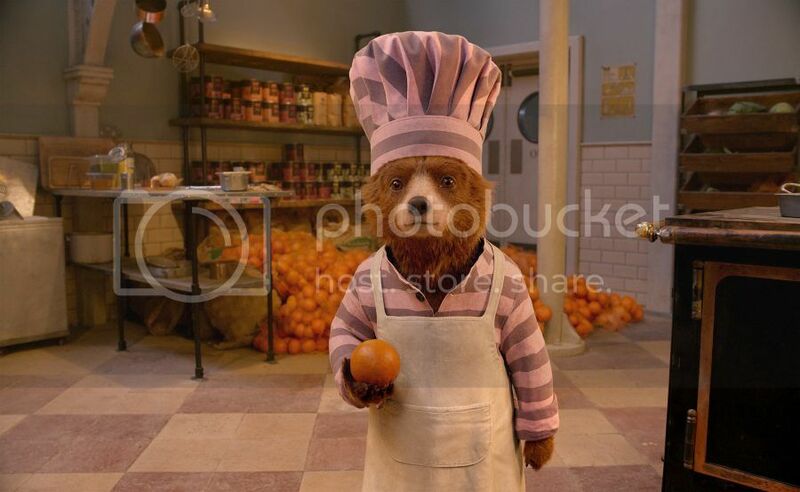 Everything starts in a kitchen where the prison chef tries Paddington's marmalade sandwich & agrees to apply prisoners' favorite family recipes. The whole prison changes when more delicious food replaces previous tasteless porridge. They start calling their place "Prison Sweet Prison". Paddington often gets into funny situations, from his first jobs to pink colored prison clothes, his sweet innocence and honesty are very unique and remarkable qualities. While he is a talking bear, everyone treats him as regular person. Paddington a loving member in the community who unites everyone, he makes everyone's life better. Mr. Brown says that Paddington finds friends everywhere, even in prison. Because he is straightforward and honest, he helps, loves and supports with his full heart. Paddington 2 is a beautiful movie to watch for the whole family, its humor, kindness and love makes the world better place to live because of just one nice lovely bear. Now Paddington 2 is out on Blu-ray/DVD & digital, it makes wonderful addition to your movie collection. It is one of those movies you can watch over and over again. There are also some special bonus features like How to make a Marmalade Sandwich, Paddington: The Bear Truth and other. We are looking forward to Paddington 3 movie, and for now planning another trip to London and stock up on marmalade for our sandwiches!